The news updated on December 18, 2018. 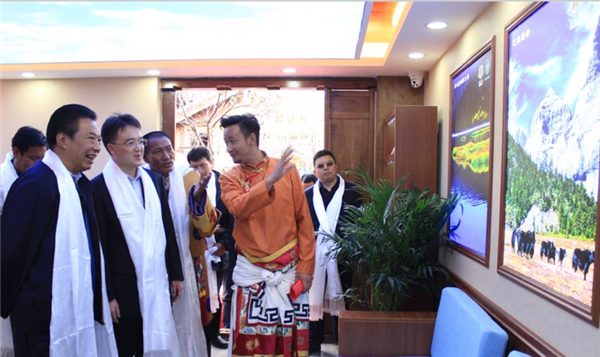 The world’s Shangri-La image store of Diqing Tibetan autonomous prefecture officially settled down in the Old Town of Lijiang, Southwest China’s Yunnan province, on Dec 17. 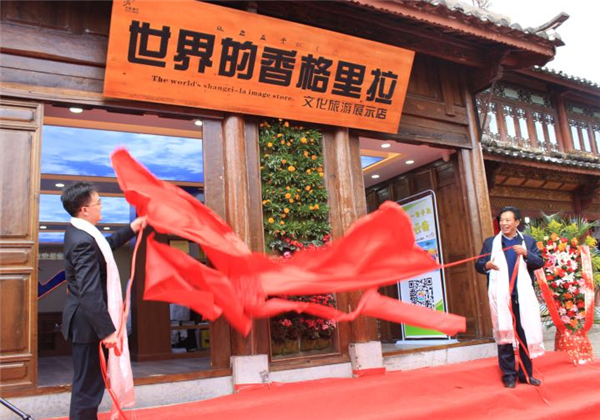 In recent years, in line with the new trend of global tourism development, Diqing prefecture has strived to achieve a virtuous cycle of tourism, enhancing the brand value of Shangri-La and promoting the transformation and upgrading of the tourism industry. 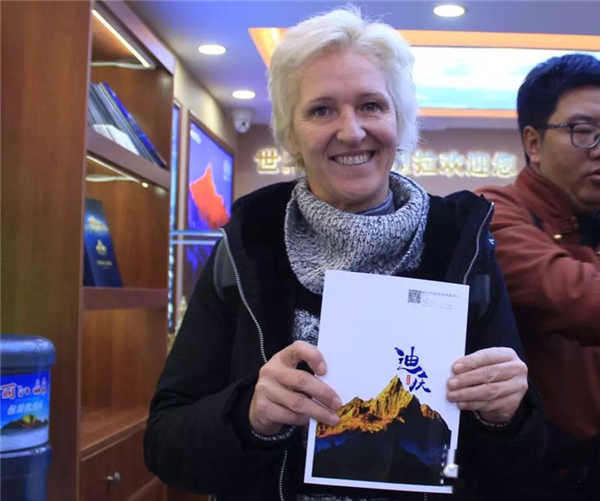 The image store aims to continuously strengthen tourism exchange and cooperation between Diqing and Lijiang, so that more tourists can get to know and understand Shangri-La and boost winter travel to the area. In addition, the image store fully displays Diqing’s magical and beautiful natural scenery lake, rich ethnic customs and long history and culture. The newly-opened image store is full of people and very lively. The staff members wear Diqing’s special ethnic costumes, introduce boutique travel routes, distribute Diqing travel brochures and give out small gifts with ethnic characteristics.The Diqing tourism image promotion, tourism product sales and the customer source market organization are closely linked and organically combined through the image store, playing a long-term, stable and effective brand promotion role.